Runners, and athletes in general, are all an experiment of one. A long run strategy that works for one may not necessarily work for another. The only tried and true successful plan is one that supports individual goals, limitations, personalities, time constraints, and abilities. As I remind my athletes who are prone to stress if they miss a workout, “There will be over 30,000 runners at the start of the Boston Marathon and there will be 30,000 different training plans that got them there.” Like diets, political parties, collegiate football teams and cars, there is no singular system that works for everyone. Thank goodness, right? If so, the world would be a boring place and coaches would be out of a job if there were only one plan to adhere to. There are many world-renowned experts who have developed foundations for long run and marathon success. Their philosophies differ, allowing athletes the versatility of using a strategy that meets their needs at any given time. Here are four common ways to approach your long run. Run/Walk Method: Run for a pre-determined amount of time (ex. 5 min) at a pace that is just slightly slower than goal pace. Then, walk for a planned amount of time for recovery (ex. 1 minute). This helps build endurance while minimizing stress. Long Slow Run: Run the entire distance at 1:00-2:00 minutes slower than race pace. Great time on your feet and aerobic endurance building. Minimize breaks. Progressive Run: Start long run at 1:00-2:00 minutes slower than race pace and gradually increase pace throughout the run. You will still finish slightly slower than race pace, but you are training your body and mind to run a negative split. Long Run with Goal Pace Miles: Start long run at 1:00-2:00 minutes slower than race pace. Then, run a certain number of miles at your goal pace. Finish run with several miles 1:00-2:00 minutes slower than race pace. So how do you know which is best for you? The best answer I can give is, “Know Thyself.” Be honest with your goals and with your coach. Also, be flexible throughout the training process. How I tackle a long run strategy for my athletes differ for each person based their goals, experience, life stresses (job and family), age, injuries and time they can devote to running. Knowing the answers to some of these questions, I begin to construct a long run plan that matches their athletic profile with their intended results. In general, if I’m working with a new runner, I’ll write a gradual build with adequate recovery and a longer base building period. The Run/Walk method or Long Slow Run are usually the best long run options. Speed work is usually reserved for shorter runs and slower long runs focus on miles and fueling strategies. For newer runners or rookie marathoners, building a powerful aerobic engine trumps speed training, especially if the goal is to “just finish.” Plus, it helps ward off potential injury, fatigue, and burnout that happens when an athlete trains too fast too much. In addition to building mileage, I advocate building strength in key muscle groups that promote a safe training build. More experienced runners with specific time goals may benefit more from work done at or slightly above marathon goal pace. These runners are usually starting a training plan with some aerobic base and can better adapt to the demands of speed and tempo work. Long runs are still primarily done at 45 to 60 seconds slower than race pace. I like to incorporate and encourage the Progressive approach for these runners. Why Is The Long Run Important? The long run is vitally important to a marathon training plan for many reasons including both mental and physical adaptation. If done at the proper pace, long runs also strengthen slow twitch muscle fibers that are engaged primarily in longer aerobic efforts. Simply put, you have to train your body and mind to go the distance. In addition, you want to train and practice the nutrition protocol that you will use on race day. If you’re running too fast, your body can’t properly absorb the nutrients. Long runs provide the stimulus and ideal conditions to practice race day fueling and pacing. You should also be able to recover from them after a day or two in order to resume your weekday workouts. If you are chronically sore for several days after a long run, you’re more than likely going too hard. I can’t stress it enough. The approach to the long run will differ for each person. In some cases, it will change throughout the training cycle. 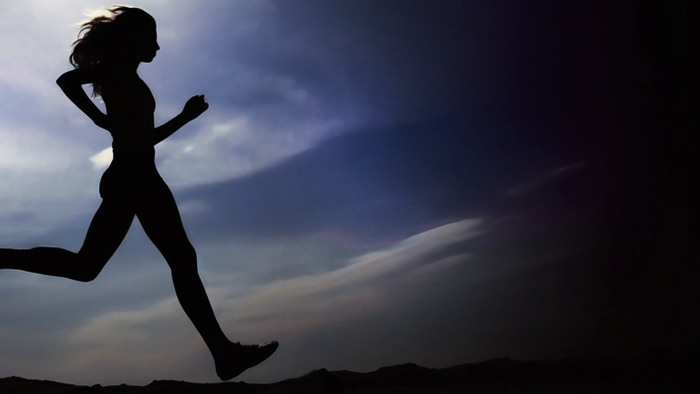 Faster shorter runs will produce similar stress on the body as a longer slower run. Hillier long runs will produce more stress than a flatter run. Three 22-mile runs doesn’t guarantee success just like one 16 mile run doesn’t guarantee failure. It’s the quality of those runs that matter. Are you honoring your body? Are you hitting the intended paces? Are you running them properly? These are the questions you should think about, regardless of which long run strategy you employ for your marathon. Carrie Barrett is a USAT Level 1 Certified Coach and freelance writer based in Austin, Texas. She is the author of Headspace for the Perfect Race'and has been published on Ironman.com, Lavamagazine.com, Livestrong.com, and TrainingPeaks.com. For more information on her coaching, speaking and writing, visit fomotraining.com and follow her on Twitter: @fomocoach.